Farming has enough challenges, save 5% to 20% on fuel costs with ECM tuning for your tractor, harvester, sprayer, hay and forage equipment.Equipment manufacturers use one engine across a range of equipment types and have to design their equipment to work anywhere in the world. Custom ECM tuning will make your equipment’s engine work for your specific location, application and operating conditions. Connecting to your equipment’s ECM through the diagnostic port, engine parameters/mapping is downloaded and saved as a baseline reference point. Our engineers custom tune the mapping tables to adjust fuelling, injector settings, turbo boost pressure, torque limits resulting in increased horsepower and torque. Remapping your ECU/ECM will increase horsepower and torque which allows you to increase ground speed or reduce engine RPMs for the same task, reduces operating temperatures and means your equipment is working more efficiently so it delivers 5% to 20% improved fuel efficiency. In the age of guided farm equipment delivering productivity gains, your tractor’s ECM is still using the stock parameters the manufacturer set to work for all applications. Manufacturers have a difficult task in making one piece of equipment work anywhere in the world resulting in a happy medium engine setting. 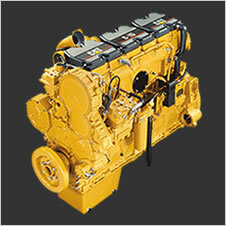 Take control of your equipment and customize your engine’s performance to suit your specific applications and operations. 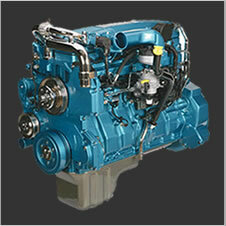 Tuning your diesel ECM can unlock increased horsepower and torque and improve fuel efficiency. Most ECMs can be tuned online remotely, find out how ECM tuning is done or call 1-855-326-8863 for more information and pricing. Our diagnostic laptop & software kit lets you connect to your equipment’s diagnostic port to troubleshoot fault codes, adjust engine parameters and load custom ECM tunes from our engineers. Connect TuneTap to your equipment’s diagnostic or OBDII port to read/write to your ECM and load custom tunes from our engineers. Store up to 1,000 vehicle programs in the TuneTap so you can service multiple pieces of equipment in the field without the need for a laptop. MyTap plugs into your equipment’s diagnostic or OBDII port to read and program your ECM parameters. Up to 10 different tunes can be loaded and selected using the handheld programming console, allowing you to switch between tunes for different applications. Plug-in Power modules come with everything needed to connect to your equipment’s wiring and includes up to 4 present engine map settings and will also allow you to load custom tunes from our engineers. 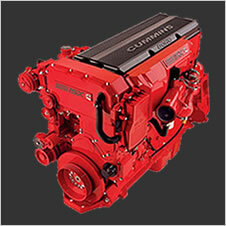 If it has a diesel engine we can help you diagnose problems and reduce fuel consumption, call 1-855-326-8863 to start saving today. Our ECM experts are here to take your call from 6:00am to 4:30pm Pacific (9:00am to 7:30pm Eastern), Monday to Friday. Your satisfaction is guaranteed and backed by warranty and our dedicated staff of engineers and technicians. 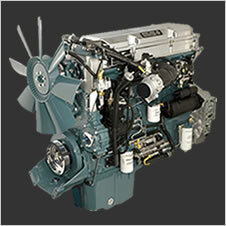 Find out more about J-Ball Supreme Service. Fill in the form below to find out how J-Ball Electronics ECM tuning can help your agribusiness cut its fuel bills and put more green back in farming. Complete the form below and one of our helpful staff will contact you with more information.